Here's the next video in ClearCorrect's orthodontic training series—Ideal Occlusion. From Dr. Edward Angle's bite relationship classification system to Dr. Lawrence Andrews' six keys to ideal occlusion, you'll find out how to identify ideal occlusion. We're rolling out some new support features to service you better. If you can't find what you're looking for there, you can send our support team a message, and they'll get back to you as soon as they can. Of course, you can also still email us at support@clearcorrect.com, or call us at (888) 331-3323. The new help center is integrated more closely with our overall support system, so it will continue to be updated as we assist doctors with common (and not so common) issues. If you have trouble finding anything on the new site, please let us know. If you've been practicing clear aligner therapy for any length of time, you've likely discovered that some teeth prefer to stay where they are. When you run into this, various factors may be involved, such as an older patient, unusually-shaped teeth, or just a tooth that needs a little more pressure. This 2-minute video on submitting a case is a great introduction. If you're having trouble picking a case type, this video is made for you. If you've had poorly-fitting starter aligners, here are some tips on taking impressions. Don't forget that bite registrations are required with your impressions. If you are submitting a new case for a previous patient, select "existing patient" in ClearComm. Keep the boxes your aligners ship in—they can be reused to submit your impressions. Locate the nearest FedEx drop off location. If you have any other questions about submitting a case, give your account rep a call. Update: As of March 15, 2016, bite registrations are no longer required in submitting a case to ClearCorrect, and you can watch an updated video on case submission here. 1. Why do your aligners overlap the gumline? 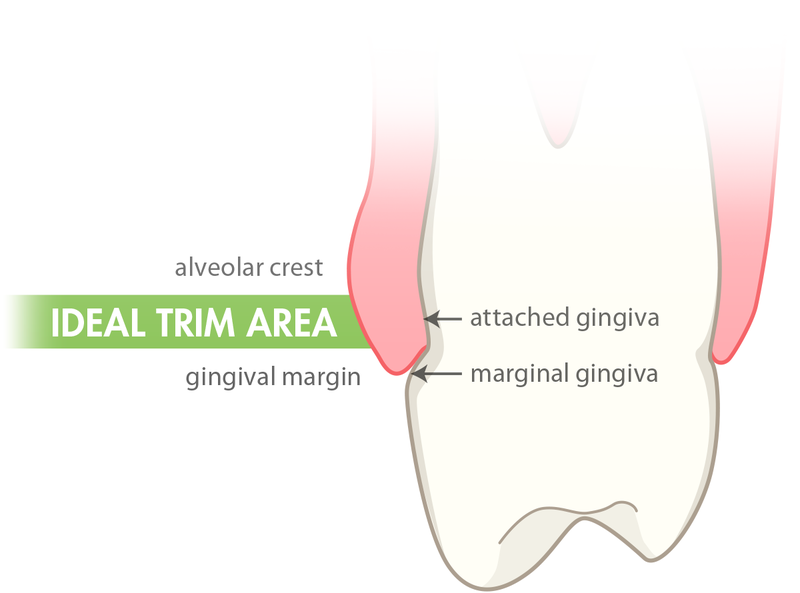 As we announced in September, we now trim our aligners with a smooth contour, overlapping the attached gingiva. We made this change based on clinical research which demonstrated big improvements to retention using this technique. 2. Can I make custom trimming requests? Unfortunately, we are not able to accept custom trimming requests. We trim all aligners using the same standard protocol. If you want to customize your aligners, you can do so fairly easily in your office with a buffing wheel (like the ones available in our online store). 3. What should I look for if my patient complains of sore gums? ClearCorrect aligners go through a multi-stage polishing process, so actual rough or sharp edges should be quite rare. It is fairly common, however, to experience some discomfort for the first few days wearing an aligner. This often indicates that the soft tissue is getting used to having foreign material present in the mouth. Changes to the mucosa eventually fade away when the patient stops wearing aligners. You may also want to look for frenum pulls. These can be difficult to detect because the aligner may feel comfortable at first, but as the patient speaks and moves around, the frenum becomes irritated and ulcerated. Unfortunately this dynamic movement is not captured in the impression. Clear photographs can help to identify these. Gingival frenum pulls are rare, but when they occur, they are typically found in the maxillary premolar and midline areas. 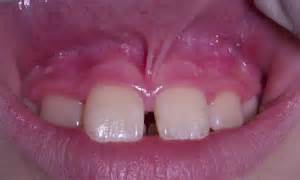 If this proves to be a problem, you may want to trim the aligner shorter in the affected areas.